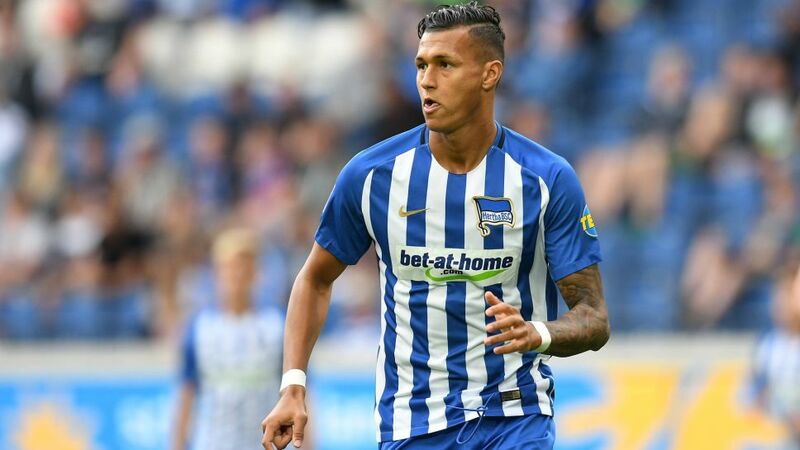 New Hertha Berlin forward Davie Selke will be sidelined for several weeks after sustaining a foot injury in training on Wednesday. Fresh from winning the UEFA European Under-21 Championship with Germany, Selke will have been keen to make a flying start with the capital club, having completed a switch from RB Leipzig earlier this summer. However, the 22-year-old is instead set for a spell on the sidelines after injuring his metatarsal on Wednesday. Further tests on Thursday revealed that he is also suffering with bone marrow edema, and will require several weeks of treatment before returning to the pitch. "It's a real shame for us, but especially for Davie," said Hertha head coach Pal Dardai. "He's got a lot of energy and really wanted to hit the ground running, but now we will have to wait a few weeks for him to recover. I'm sure he will remain positive, and start helping us as soon as he's back in action." Hertha, who face Jürgen Klopp's Liverpool in a friendly on 29 July to mark the two clubs' 125-year anniversaries, kick off their Bundesliga season at home to promoted Stuttgart on 19 August.